These cookies are so simple it’s actually embarrassing. 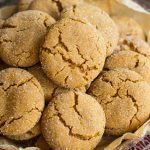 My mother, grandmother, and I have been making these cookies for quite a number of years now. 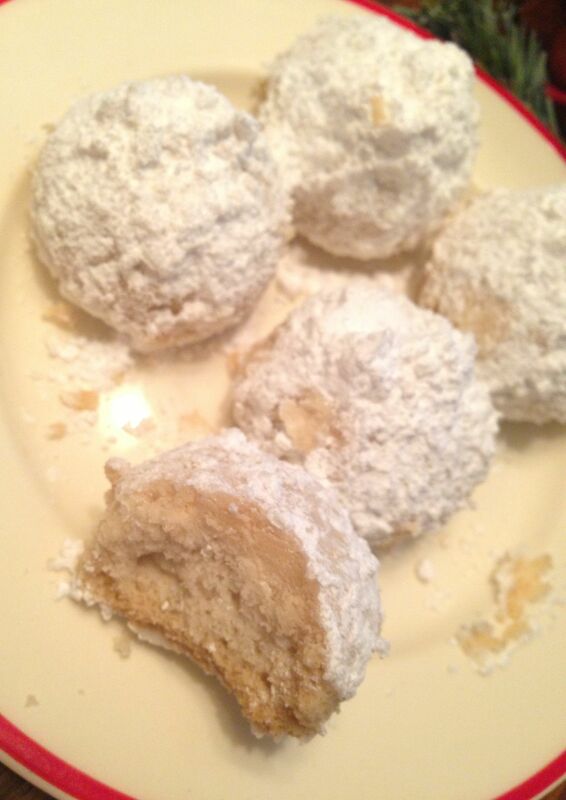 I don’t know how we found this recipe, and I can’t pinpoint exactly when the tradition started that we would include these *every year* in our Christmas baking… but here we are now that we’ve been making them long enough that I can’t remember when we started. There’s barely a handful of ingredients, and these don’t sound especially tasty and delicious AT ALL based on the particularly ordinary and bland-sounding ingredients. There is literally nothing special about the ingredients. But you must, you just must, give these a try. First of all, they’re super easy. It’d be pretty impossible to make excuses that you don’t have enough time to make these because they aren’t very time-consuming. Second, these are truly soooo delicious. They melt in your mouth. 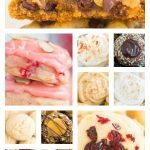 The flavor is simple, it’s basically vanilla and sweetness, which are a delicious combo any way you cut it! 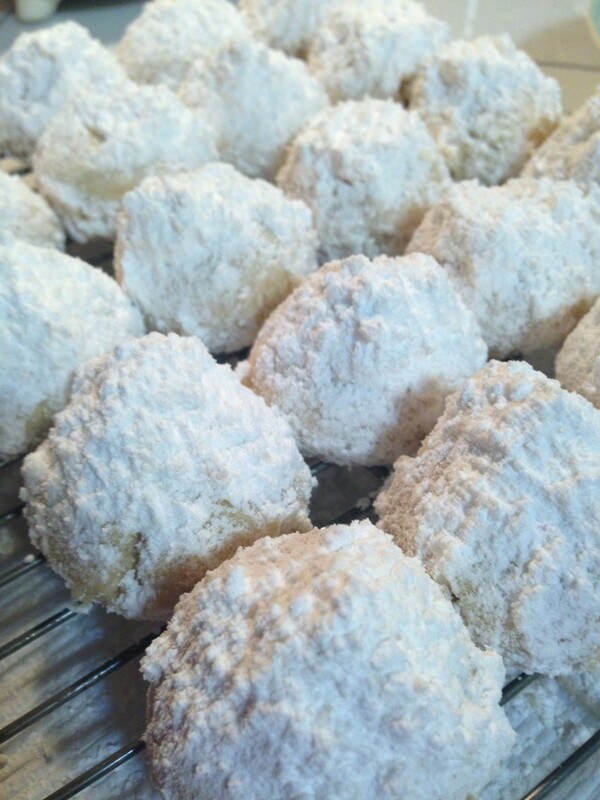 But the texture of these Snowball cookies is to-die-for. They are crunchy when you first take a bite into it, but then they melt in your mouth. They are so uncomplicated and straight-forward, and that is part of the beauty of these. 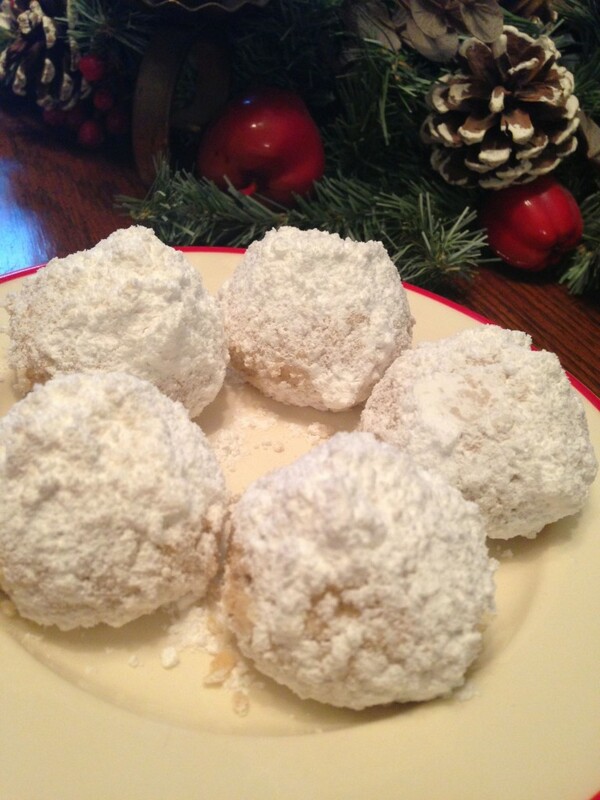 For as plain as they may sound, they taste wonderful, and they are one of my very favorite Christmas cookies of all time. 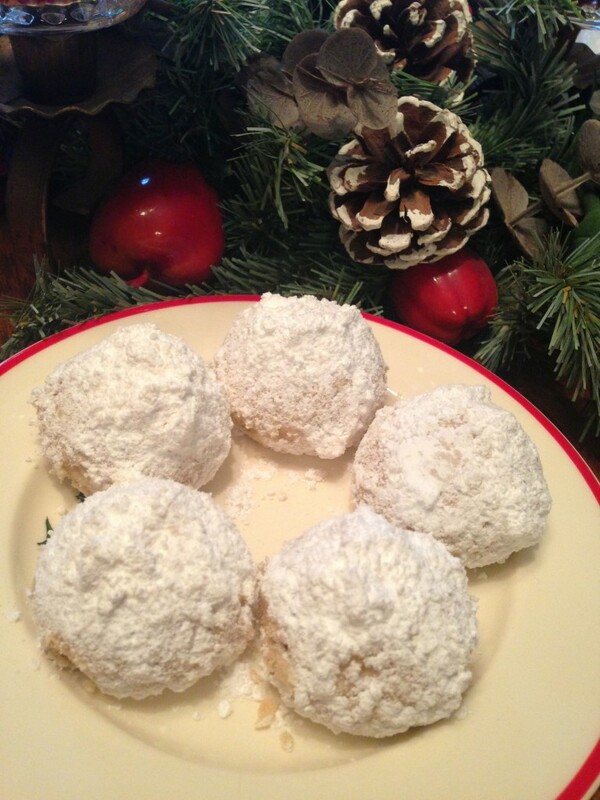 As for the name… well, most of the time we refer to these as “Snowballs” because there’s certainly a close resemblance, and it’s also a holiday cookie. Just seems apropos, doesn’t it? 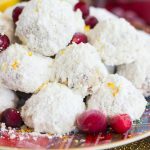 But the actual recipe card that my Gramma wrote out says these are “Cookie Balls.” Either way, they will surprise you with their divinity. P.S. We double the recipe, always. If you give them a try, let me know what you think! Happy holidays to you! Cream spry and powdered sugar in a large mixing bowl. Add in salt and vanilla. Add in flour until well-combined. Dough will be quite thick. Form into scant 1-inch balls and place on ungreased cookie sheet. Bake at 325 degrees for 20-25 minutes or until bottom edges are lightly brown. 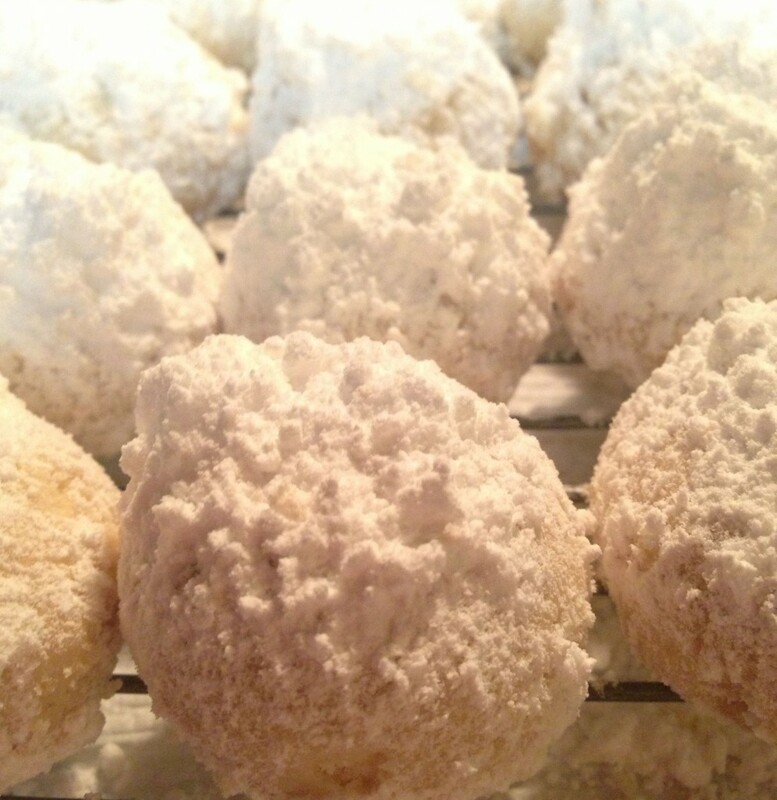 Remove from the oven and immediately roll cookie balls in powdered sugar while they’re still hot from the oven. Allow to cool completely. Yield: I don’t recall exactly, but a lot! At least 4 dozen. Please…. 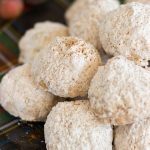 I’ve read and copied this cookie ball recipe. I cannot make it unless you tell me what spray (first ingredient) is??? Please email me because I will check that before I search for the recipe. My grandchildren in college are looking for their annual monthly cookies for their floor in the dorm. This was to be included, but, for the life of me, I cannot find out what spry is (first ingredient)!! I realize everyone is busy, but at your earliest convenience I would love to find out. 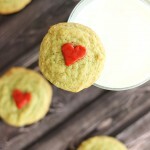 They are one of my favorite cookies in the world! Very simple but very delicious.